When we read a book, we can be forever changed. Under this popular master teacher’s guidance, your writing will take off and shine! Step by step, Sheila Stephens helps you dive in, break the often confusing writing code and quickly write with surety, purpose and passion. From tips for getting started in your jaunty Writer’s Tree House, to learning the Jazzy Art of Brainstorming, to finding the Story’s Circle, to creating Metaphors as powerful as Meteors, and even Endings as memorable as a Good Night Kiss - and much more - Stephens teaches you how to put the Zing, Compassion and the Power of stellar Insights into stories, books, articles, speeches, newsletters and blogs that you’ll be proud to call your own. A beautiful and wise transformational journey of the heart’s healing from grief after loss. As writing and meditation teacher, Sheila Stephens, faced the sudden death of her husband, she turned toward the new learnings, and stunning synchronicities that began to surprisingly unfold, even on the wings of Red-Tailed Hawks and iridescent Dragonflies. In what seemed like a caring school for her spirit, Stephens found some of life’s biggest mysteries and most light-filled insights informing her - and quietly uplifting her life. The 40 TIPS & SECRETS revealed to her chart a process of the gentle but profound healing anyone can experience as connections with our Loved Ones on the Other Side dynamically expand our hearts. 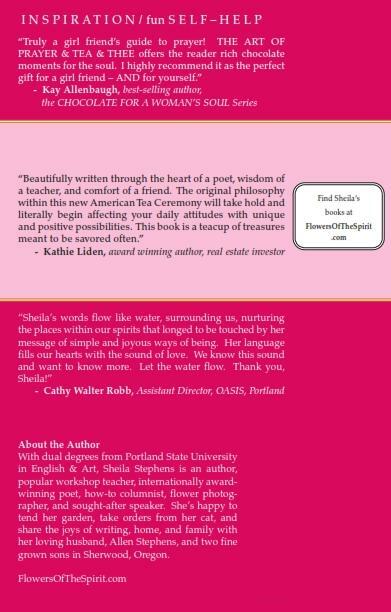 With unforgettable messages, dreams, and stories drawn from real experience, this book has powerful Wings that support us and teach us about the on-going, life-giving spaciousness of Love. -Today someone asked me if it was ok for her to grieve while her mom has Alzheimer’s. I said, "Of course, because every loss is a loss." Then I suggested she "talk" with her mom from a bigger place, not on the phone, but through her meditation/prayer time. In a way, her mom is on The Other Side, and is more than ok there, so it helps both her mom AND herself to let these “Light Conversations” happen. Her mom’s spirit will say “Yahoo, my daughter found a way to be with me!”, and the daughter will develop an even bigger heart as she expands her spirit into a finer place of Light. -I call birds Spirit Birds when they bring a spirit of higher love and connection to us. Allen started bringing Red-Tailed Hawks to me soon after he passed over. Their presence tells me Allen's spirit is there, and it comforts me to no end. I recently drove to a Celebration of Life. I wanted my friend who'd lost her husband to be strengthened that day and I was very tired, so along the way I asked Allen and the Angels to be with us. Immediately I saw a Red-Tailed Hawk boldly sitting on the power lines. As I drove on, I asked for Allen's help at 3 separate times, and each time I was totally surprised by a Red-Tailed Hawk. Definitely a "Power Line!" Sumptuous and fun, this must-have book is perfect to share. Stephens’ original New American Tea Ceremony is easy to read and quickly put into practice. 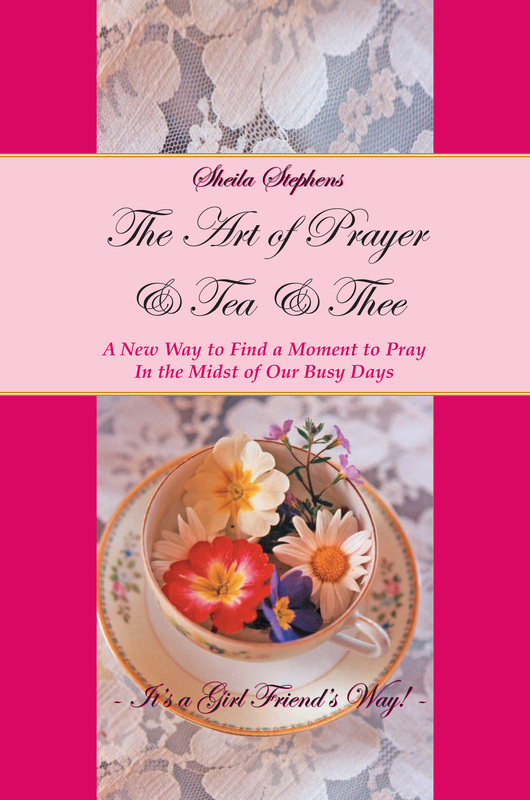 In a delightful way, Stephens teaches even the busiest of us how to take an instant break and refresh our spirit with a simple cup of tea! After you choose your favorite teacup or mug, and ‘put your feet up and your worries down,’ you’ll naturally find yourself in a quiet, meditational place. It’s all up from there! Every step has a jewel of how-to wisdom which comes through in the eloquent stillness she creates. All you have to do is lift your cup, step-by-step, and receive the new inspirations that relax you - and refine you. Stephens creates a vessel of Love that changes you as you sip a yummy cup of tea! © SHEILA STEPHENS. NO COPYING. -"My cat, Bella, reminds me of how I feel after I enjoy my quick tea ceremony. We don’t have to create Bliss. We just have to let it come in." -"As I wrote this book, I waited upon divine guidance to help me with each chapter. Sometimes I chatted with my late husband, Allen, when I didn’t know what I should write next, because he was tuned in, too. The chapters unfolded like a flower opening its petals, and I read this book and practice the tea ceremony to this day. The steps are automatic now, but I still am affected by what I read, which was so gracefully guided to me." After her beloved husband, Allen Stephens, died one day in an auto accident at the age of 57, Sheila spent the next year editing his fictional work that captured their love relationship, and serendipitously brought light into the process of how the hero (Jake) died and went to the Other Side and then came back. Editing this valuable, tender and adventurous book helped her heal, and she still smiles that Allen used her poem, “Always Here” as the ending of his book. The last chapter was read at Allen’s Celebration of Life. Years later, to Sheila, Allen is always here. Every man wants to make his mark on the world, but in what way? “Gone to Glory” goes to the heart of the West. What does a man believe in? And does he have the courage to let it affect his life? It was obvious to everyone that Jake was a changed man. He’d grown into his boots, as the saying goes, and his boots were destined to be tall ones. In the past, Jake had been respected - and feared - for the strength of force he’d used to protect the precious gold others had discovered. Now he was respected for possessing the ability to find it himself, and so something good with it. His new riches gave Jake the opportunity to help his old friend, Harry Harmon, with a claim that promised to be a whopper. Along the way, he’d grown into the man he knew his wife, Sarah, deserved, and he’d earned the respect of the Cherokee Shaman, Night Walker, his unexpected friend. Jake knew he was a lucky man. He had everything to live for. Jake thought of them both now, and the dream of a new family that grew inside Sarah, as his world suddenly blew apart with the strike of an assassin’s bullet. In the blink of an eye, he found himself dying, and walking The Starry Path to the Other Side. But to his great surprise, he was given a chance to come back to the life he’d so shockingly lost! How would this Near Death Experience change him? How would he walk differently - and make his mark - in the boots he now knew he must fill? Set in Olden Times, this enchanting story-poem inspires each of us to think about the powerful spirit of Gifts, Families, and Love. What are gifts all about? How do we build stronger families as we give and receive? And how do we attain the craftsmanship and wisdom of the Master Toymaker, so we might do honor to some of our most heartfelt exchanges? 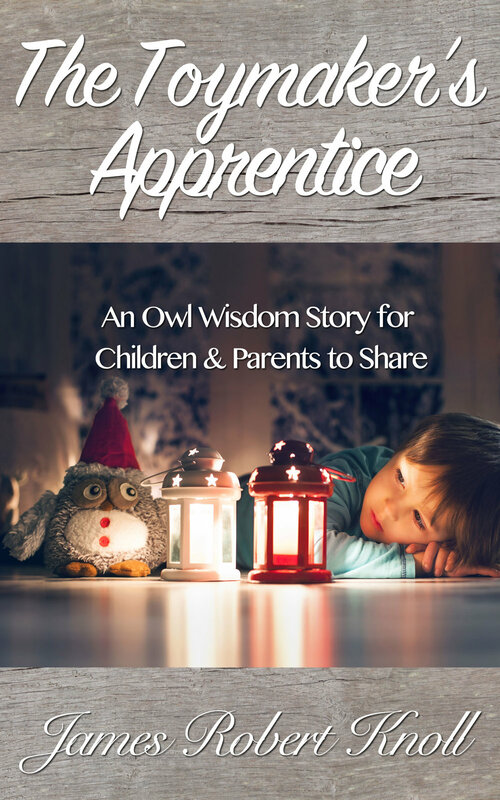 “The Toymaker’s Apprentice” is a great read and a true bonding experience for children and parents - any time of the year! Header photo © Sheila Stephens. No Copying.